Normally I would be posting about Linky Thursday, but I got way toofar behind this morning and decided to skip it today (stay tuned for Linky Goodness tomorrow instead). 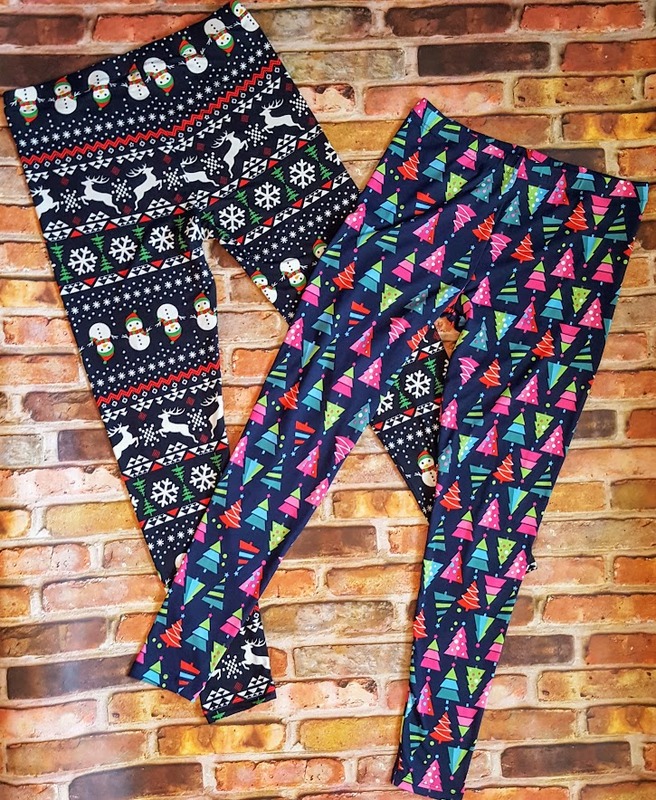 Instead, I bring you my latest sewing creations: Holiday Leggings. Originally, I had planned on picking up a few pairs of LuLaRoe (I know, I can easily make them myself for half the cost, but I have a weakness for some of their prints), but there wasn’t a lot of designs that called to me (and the ones that did got snagged up very quickly). So, I wound up buying a few, fun fabrics from SoSewEnglish and paired it up with Jalie 2920 (by the way, this pattern will soon be discontinued so if you don’t have a paper copy and want one, this may be you last chance). Taylor claimed the reindeer\snowman stripe and the trees are all mine. Now I just need to find some good shirts to wear with these! This entry was posted in Uncategorized on December 14, 2017 by stacy.